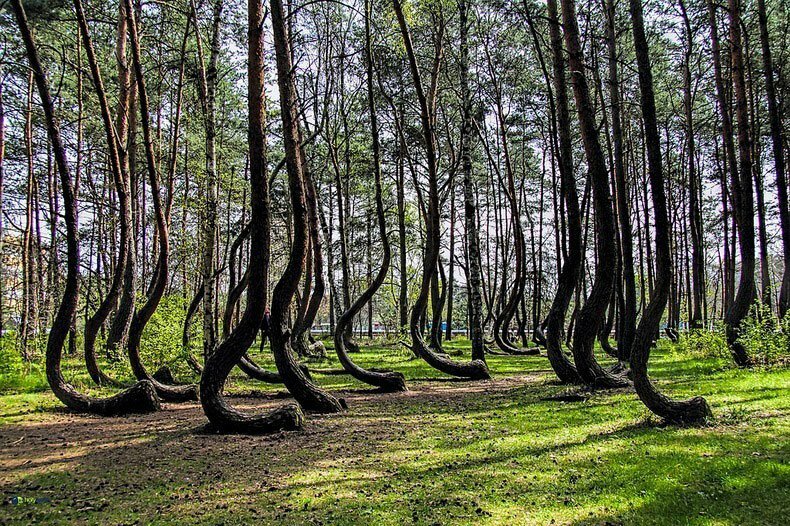 Once upon a time, in a small corner of Poland near the community of Gryfino, sat a forest of over 400 trees that had one unique feature: all of the trees were bent at a right angle before growing up like a normal tree. Many stories were told about how these trunks were formed, from great winds to the wrath of God to the efforts of one man to pull a practical joke. There’s only one issue with this fairy tale: it’s completely true. 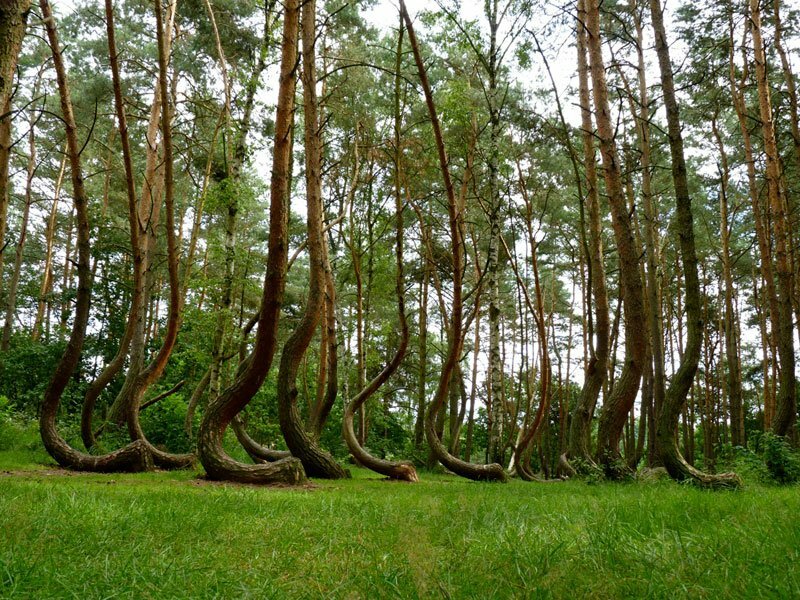 What’s the Truth Behind the Crooked Forest? As the oral tradition goes, a group of farmers planted this small grove of trees back in the 1930’s because they wanted to make furniture. 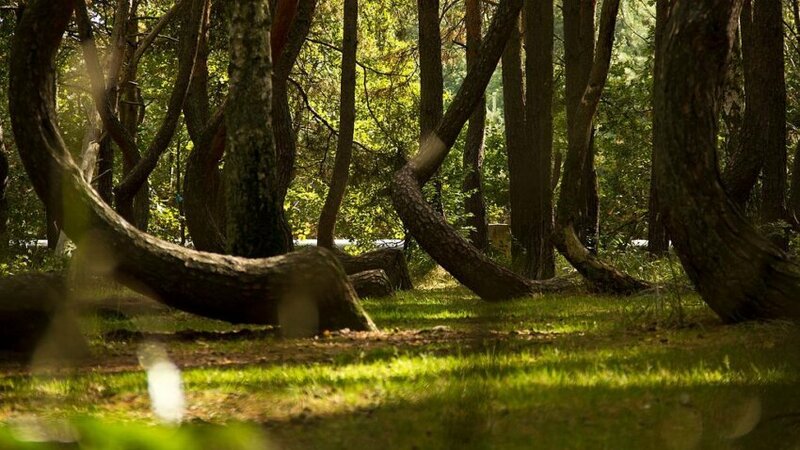 They bent the trees like this because they wanted to create unique designs and the intent was to harvest the forest after a decade or so. As they were about to get ready to harvest the trees, however, Germany invaded and all the plans on created bent, crooked furniture were tossed to the wind. There really isn’t any evidence as to what actually happened. Some believe these pines were abused to create their unique “J” shape. The reality is that the most likely explanation for the trees being grown in this way was that the wood was intended for a ship-building contract. Couldn’t Steam Building Be Just As Effective? It’s a fair question to those who might question the ship-building theory. There’s evidence, however, that the practice of manipulating the growth of trees to curve dates back to at least the 17th century and that it may have been common starting in the 19th century. Some believe that pine isn’t used for shipbuilding and that the forest must have grown naturally, but there are some modern shipbuilders who would even disagree with that! Whatever the case may be, this fairy tale forest is a memorable experience and a great place to take pictures. If you ever get the chance to visit this location, maybe you’ll be able to solve this 70 year old mystery once and for all! Previous ArticlePuzzling World: As If You Needed Another Reason to Visit New Zealand! Look, it was Rhyacionia buoliana when the trees were 2 or 3 years old.